Rebecca Cordingley and Ben Wasser discuss the farming/RPG hybrid. This feature originally ran in PC Gamer UK issue 314 and PC Gamer US issue 301. Subscribe to the magazine to get great features like this sent to your door every month, and save money on the cover price. Ooblets is beautiful. It’s billed as a game somewhere between Harvest Moon, Pokémon and Animal Crossing, so a farm builder and a battler where you make a home and build a squad of creatures—the titular ooblets. It’s not playable yet but gifs and screenshots from development keep popping up, offering glimpses of cute critters and bright, happy scenes. I’m too curious to wait for a hands-on so I email Glumberland—the tiny team of Rebecca Cordingley and Ben Wasser—to find out how the game is progressing. To explain how work on the game divides up, Rebecca is the sole programmer and main artist for Ooblets. “95% of what you’re seeing in the game is her work,” says Wasser. His own role is as game designer, writer and “person who bugs Rebecca to make gifs (aka our entire marketing strategy)”. Those ooblets include Shrumbo, a cheery pot-bellied fungus with a yellow cap, and Clickyclaws, a bell-shaped grump. Those are perhaps the best-known of the ooblets but I have a soft spot for Radlad, a spindly radish topped with a green leaf, and Dumbirb, a bird creature with a big blue head. The games which inspired Ooblets tend to have their own tight systems but tying those elements together, getting them to feed into one another, means opening them up a bit, adding a bit more freedom or ‘give’ to the experience. In terms of how that manifests in the game right now, Wasser says that the player will split their time farming, interacting with townspeople, exploring Oob, building a little team of ooblets, and battling “in a friendly way”. To my mind there’s a common thread of cultivation there, either with farm crops, with relationships or with small creatures. “When we started, not much of the game was comparable to Animal Crossing, but over time we’ve embraced a lot more of the customisation and collection aspects,” says Wasser. “There’s an element of escapism in farming, building and town-based games that we’re drawn to. Building out the world of Oob has been really fun and we want players to feel like they’re a part of both the existing world and also its development." Given that emphasis on self-directed play, I ask what happens if you want to focus on farming or on training ooblets. Could you treat Ooblets entirely as a farming game? Or as a battler if crops aren’t your thing? “It’s a difficult balance between providing a core progression, connecting the gameplay elements and letting people play their own way,” says Wasser. “We’re aiming to let people focus on what they like best, but the general progress is tied to a mixture of all aspects of the game. Since it’s a laid-back game, we’re hoping that the progression won’t be ‘core’ to the gameplay. Peering a bit closer at the farming, I remember that automated processes were mentioned a while ago. I mention automated farms to Wasser and he explains how that idea has been rejigged. There is still a degree of automation but not to the extent of industrial farming. Farming and town-building games, like Animal Crossing, have been part of my gaming library for years so the talk of chilled out planting and progressing has the pull of cosy familiarity. Those games tend to be where I hide out from real world stressors. Battlers are less familiar territory. I managed to be exactly the wrong age to get properly captivated by Pokémon, preferring the cartoon to the game itself. But as Wasser explains that part of Ooblets we end up in the more familiar RPG language of tanks and healers instead of evolutions and elements. “The plan is that each ooblet has a functional type, ranging from healers to tanks to weirder things like something I wrote down called a ‘targeted defensive mage’,” he says. “They won’t be called names like that in-game and likely won’t even have categories since there will probably only be one or two ooblets of each type. Ooblets is currently intended as a single-player game so those battles are not going to be versus real-life friends, but against non-player characters. The structure of the game there is more fluid at the moment—a work-in-progress with a basic outline. “The current plan is to structure difficulty along the physical locations you’re exploring,” says Cordingley. “But plans have been known to change.” The structure of battles and the way difficulty works also depends on what happens after a player has finished the meat of the game. 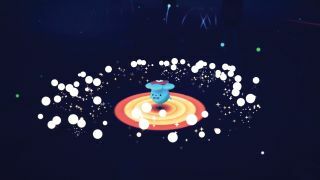 “We’ll probably need to work out some sort of adaptive battle difficulty curve in some part of the game eventually to let people continue to have compelling battles after they’ve completed the main progression and want to keep levelling up their ooblets, but we honestly haven’t gotten that far yet in development,” says Cordingley. The ooblets and your player character both reside on Oob, rather than Earth, and the setting is a mixture of country village and curious alien life. When looking through gifs of character selection it was a nice surprise to note that character creation doesn’t ask you to pick a gender, you just apply the outfits, hair and other options that you fancy to a base model and create a sense of your character that way. I was curious as to where else Glumberland might be quietly setting aside or reassessing the standard videogame approach. “We’ve set out to throw as many standard concepts out the window as we can,” says Wasser. “Ooblets doesn’t take place on Earth, so we’ve got a lot of freedom to build a society and world around our own whims and interests. There’s no way to get around all the influences of society and reality, so we try to weave them in from an outsider perspective and mess with them subtly where we can. Excitement and buzz can also breed less salubrious conditions for a game. One potential problem I’ve seen other projects deal with is feature creep as more and more people weigh in with opinions or crowdfunding cash. With Ooblets specifically, the pitch knits the systems of Animal Crossing, Harvest Moon and Pokémon together, mostly via the work of one person. That means there were so many elements in play from an early stage. From my outsider perspective it’s actually less about feature creep and more about how you keep the game to a manageable scale from the start. Another issue popularity can bring is that of managing fans’ expectations so they don’t end up excited for a wildly divergent imagined game—a Bizarro Ooblets of sorts. This is where Cordingley and Wasser are trying to use online platforms both to create transparency about what Ooblets is, and to forge a connection with the people interested in playing. “We try to be as open as possible with development and our plans, and make it easy for people to talk to us directly on things like Discord, Patreon, and Twitter,” says Cordingley. “We try to use our dev vlogs to show people what we’re actually like in person (for better or worse) so they’ll know we’re just a couple humans and not just a means to the end of playing a game. When talking about Ooblets there’s another game which comes up a lot: Stardew Valley. I never quite clicked with Stardew Valley and am secretly thankful because it’s the sort of game I can end up pouring hundreds of hours into. But between Stardew Valley, the various Animal Crossing and Harvest Moon games, the mobile and handheld Pokémon titles of various flavours—even the evolutionary cultivation game from Harvest Moon’s Yasuhiro Wada, Birthdays the Beginning—the space Ooblets is entering isn’t so much crowded as replete with games which already feel like ‘home’ to players. Cordingley is optimistic that Ooblets can stand out, and sees the benefit of more attention being paid to that space.